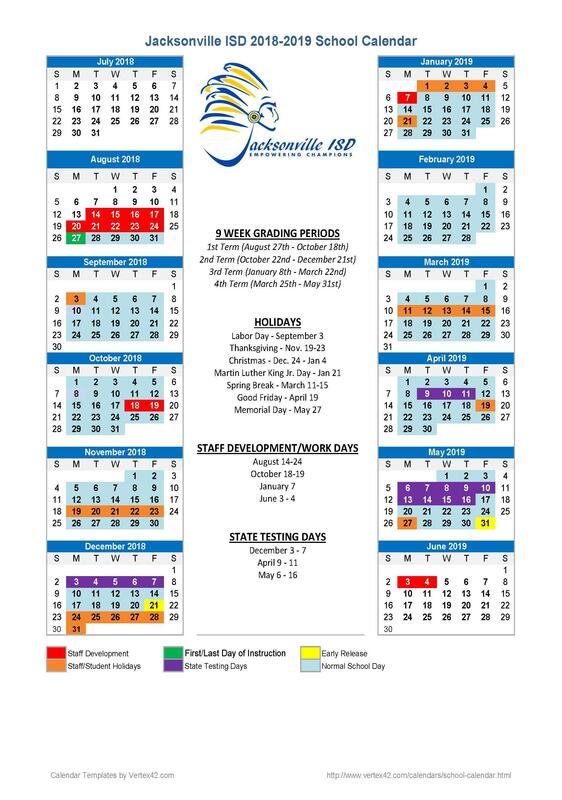 The Jacksonville Independent School District was awarded grant monies for 2015-2016 and 2016-2017 school years to implement the High-Quality Prekindergarten Grant program which focuses on enhancing the quality standards for all Prekindergarten classrooms. In 2017-2018 the district reevaluated the district's PK program to adhere to Rider 78 requirements. These areas focused on certain enhanced quality standards related to curriculum, teacher qualifications, academic performance, and family engagement. *Rider 78 requires districts to select and implement a curriculum for a high-quality prekindergarten grant program. JISD Prek and Headstart teachers adopted The Frog Street Press. *Teacher Qualifications-Rider 78 outlines requirements that each teacher of prekindergarten class must meet. Each teacher is receiving at least 30 hours of professional development per year in early childhood. *Program Evaluation- The district evaluates the PK program throughout the school year with input from the PK advisory counsel and the district and campus decision making committees. A needs assessment and update to the plan happens at least yearly. *Teacher to Student Ratio: JISD strives to keep a 11 to 1 ratio in our PK program with support from paraprofessionals in our PK classrooms.